Ducati boss Claudio Domenicali has revealed the firm are planning a tide of new models buoyed by the success of their new Panigale V4. "We will release 29 new bikes over the next five years," Domenicali told MCN. "We will continue to develop new versions of existing products but will also be entering segments that we are not currently in. As part of that, we will exploit the V4 engine in different platforms." 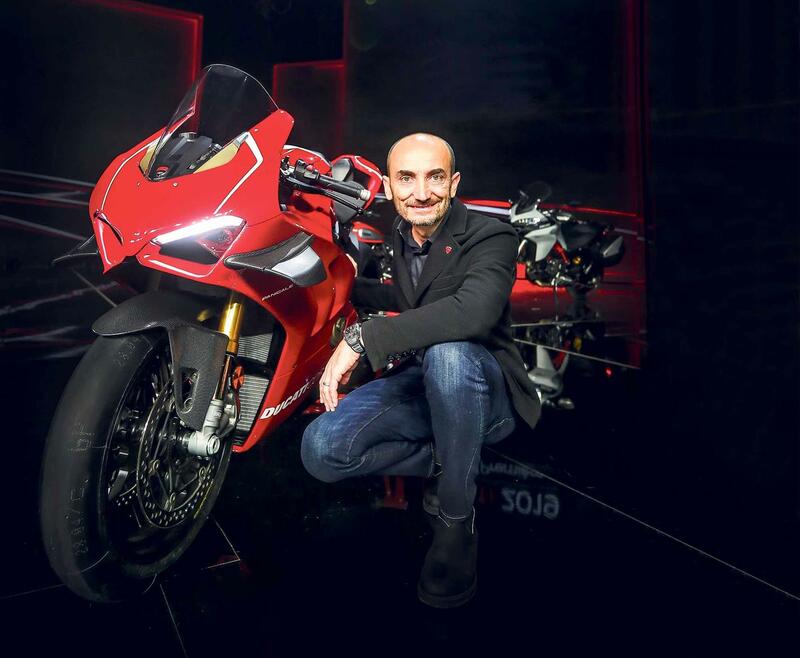 While Domenicali wouldn't reveal the next home for their compact 1103cc V4 Stradale engine, which develops 211bhp in Panigale tune, insiders suggest the firm are looking at naked, touring and adventure roles. Domenicali also admitted the V4 engine's 998cc homologation cousin, which debuts in the 2019 Panigale V4 R, caused a few surprises; despite being developed alongside the more road-focused version. "We were positively surprised with the V4 R," he said. "It was a difficult exercise already with the reduced capacity to keep the same horsepower but the engine then responded quite strongly to the improvements that we made, so that by the end we found a bit more (power) than we expected. In many ways it is the most advanced bike we have ever developed. "When you take a V4 R and put it in race trim, you have better wings, some better electronics and better suspension than a MotoGP bike. You have cornering ABS, which is not allowed on a MotoGP bike. A lot of riders lose the front in MotoGP but with our cornering ABS there would not be a single crash. Not one." But while electronics are at the core of Ducati’s offerings, electric technology is not a priority, despite a push towards low and zero-emission vehicles from parent company, the Volkswagen Audi Group. "Electric bikes are fascinating but the technology is what it is; you cannot cheat chemicals. Right now, you remove 15kg of petrol but replace it with 150kg of battery. If there is a regulation to make electric bikes in five years, we will make it, but it will be a worse bike than we can make now."